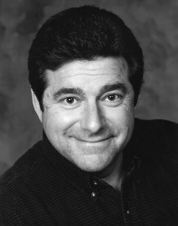 Dan’s career in radio and television began forty years ago and includes more than 30 years of voiceover work. From March 2001 to April 2008 Dan’s voice was heard on hundreds of national and regional radio and tv commercials for the GMC Division of General Motors. He was the national promo voice of King World’s Inside Edition for five years, as well as several years with WNYW Fox 5 (New York). Dan has been heard on thousands of commercials and hundreds of narrations for clients as diverse as Disney, Bausch & Lomb, Eastman Kodak, Xerox, Lockheed Martin, Syracuse University, Niagara University and PBS. Dan’s mic locker includes a Sennheiser MKH 416 shotgun, an AKG 414B ULS and an AKG C-451B. Dan uses a TL Audio mono voice processor for preamp, compression and EQ and a Mackie mixer. For ISDN sessions, Dan uses a Musicam RoadRunner codec. Voice work is all Dan does, so scheduling is fast and uncomplicated. You make the ISDN or POTS connection and he gets it done. Period. Click HERE to get in touch with Dan.